What Are ICD-10 Codes and How Do They Work? ICD-10 codes are alphanumeric codes used by doctors, health insurance companies, and public health agencies across the world to represent diagnoses. Every disease, disorder, injury, infection, and symptom has its own ICD-10 code. ICD-10 codes are used for everything from processing health insurance claims to tracking disease epidemics and compiling worldwide mortality statistics. Why Use Medical Billing Codes Rather Than Words? ICD-10 stands for International Statistical Classification of Diseases and Related Health Problems 10th Revision. Many people shorten that to International Classification of Diseases. It’s published, copyrighted, and updated regularly by the World Health Organization. In the United States, ICD codes are used everywhere from the smallest rural doctor’s office to enormous governmental agencies like the CDC and HHS and in virtually every health insurance company doing business in the country. The most commonly used version of ICD codes in the United States right now is ICD-9, the ninth revision. However, the U.S. will switch to the updated version, ICD-10, on October 1, 2015. The U.S. already uses ICD-10 for the cause of death on death certificates. The National Center for Health Statistics is responsible for ICD-10 use in the United States. With the permission of the WHO, the NCHS has developed a modification of ICD-10 used only in the United States. This U.S. ICD-10 modification is called ICD-10-CM, with the CM part standing for clinical modification. In addition to ICD-10-CM used to designate diagnoses, the Centers for Medicare & Medicaid Services developed ICD-10-PCS, a set of codes designating procedures used on hospitalized patients. ICD-10-PCS is only used in the United States and only used for hospitalized inpatients. Procedures performed on outpatients in the U.S. are coded using CPT or HCPCS codes rather than ICD-10-PCS codes. How Do ICD-10 Codes Work? ICD-10 codes are alphanumeric and contain 3-7 characters. Each code describes a particular diagnosis in detail. Here’s an example of some of the ICD-10-CM codes used to describe diagnoses of rheumatoid arthritis. Notice how characters are added to the ICD-10-CM code as the diagnosis gets more specific. The first 3 characters define the category of the disease, disorder, infection or symptom. For example, codes starting with M00-M99 are for diseases of the musculoskeletal system and connective tissue (like rheumatoid arthritis), while codes starting with J00-J99 are for diseases of the respiratory system. Characters in positions 4-6 define the body site, severity of the problem, cause of the injury or disease, and other clinical details. In the rheumatoid arthritis example above, the fifth character defines the body site and the sixth character defines whether it’s the left or right side. A three in the fifth character position denotes it’s a wrist that’s affected. A two in the sixth character position denotes it’s the left side of the body that’s affected. Character 7 is an extension character used for varied purposes such as defining whether this is the initial encounter for this problem, a subsequent encounter, or sequela arising as a result of another condition. Medical coders read medical records, extract the diagnoses from those records, and translate the diagnoses into ICD-10 codes. While most coders have software to help them, the process can be done by hand using books and coding manuals, also. 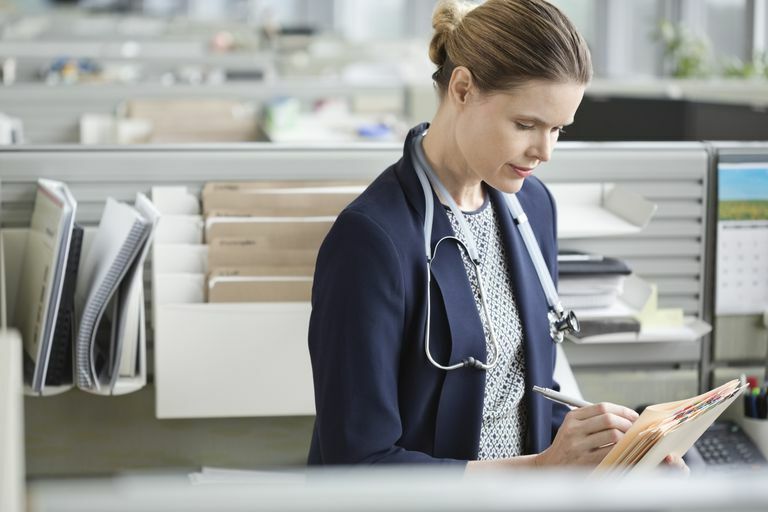 Whether the medical coder uses software or a book, coding a medical record correctly requires education in the myriad rules used to choose and apply the ICD-10 codes, as well as close attention to detail. Once the medical record has been coded by the coder, the data can be used in a number of ways. For example, the medical biller can send the coded claim to the health insurance company for processing. Researchers may use the data to determine disease prevalence across geographic areas, ages, or in conjunction with other diseases. Insurers may use the data to help predict future health care expenditures. Learn more about ICD-10 from the World Health Organization, including access to the ICD-10 instruction manual and an online training course. Learn more about ICD-10-CM from the National Center for Health Statistics including access to ICD-10-CM guidelines and a list of codes, updated each year. The Center for Medicare & Medicaid Services’ Medicare Learning Network has released this MLN Connects educational video, ICD-10 Coding Basics. International Classification of Diseases, Tenth Revision, Clinical Modification (ID-10-CM), National Center for Health Statistics, Centers for Disease Control and Prevention. http://www.cdc.gov/nchs/icd/icd10cm.htm.